Little Loft Hannover offers a temporary home - a mixture of design classics, individual objects and art by Espen Eiborg make this apartment something really special. Under the roof in Hannover-Mittelfeld invites the small apartment to stay, relax and linger. The fully equipped kitchen, the thoughtful room concept and the many little extras offer you a nice and pleasant stay. Do you want to visit the Hanover Fair, plan a city trip or just want to shut the doors behind you in the bustle of the big city and switch off? Then this apartment is ideal for you. 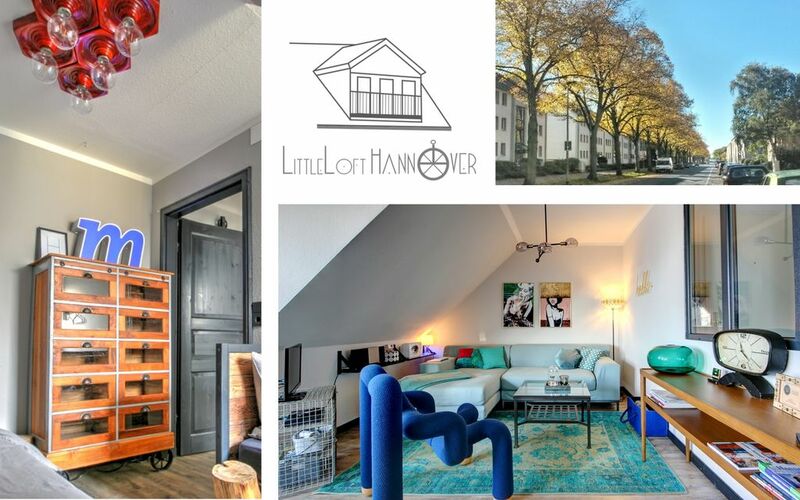 The apartment is located a few meters from Lehrter Platz in Hannover-Mittelfeld. In the immediate vicinity are playground, bank, pharmacy, bakery and shops, also the city railway station is close (350 m). The development in Hannover-Mittelfeld is kept in the simple flair of the 1950s. Old buildings alternate with semi-detached houses and allotments. Mittelfeld is a quiet, committed and family-rich district of Hanover. Due to the direct proximity to the exhibition center Mittelfeld has an above-average traffic connection. At midfield along the tram line 8 and at trade fairs also line 18, which ensure that you are in 10 minutes in the center of Hannover. Through the district also runs the bus 124, which connects midfield with the neighboring districts of Hanover. In the southwest there is the fair station Laatzen, where even ICE trains stop at trade fairs. But also by car, the connection is excellent. The Messeschnellweg to the east leads quickly to the center or to the A7.